Home / CELEBRITY NEWS / Meet the Boy Scouts in "Guide to the Zombie Apocalypse"
Meet the Boy Scouts in "Guide to the Zombie Apocalypse"
Three of today's most promising young actors play the titular, heroic scouts in Universal Pictures' new horror-comedy “Scouts Guide to the Zombie Apocalypse.” They are Tye Sheridan who plays the stand-up guy, Ben; Logan Miller as the class clown Carter, and Joseph Morgan as the die-hard boy scout, Augie. 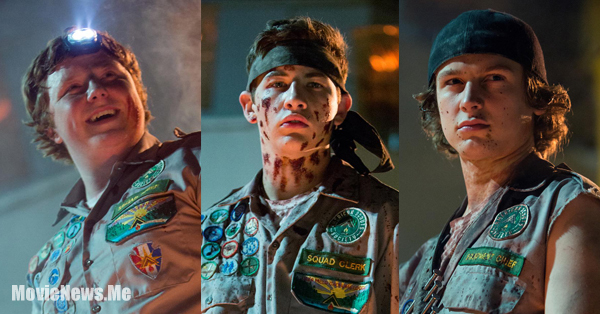 The three portray scouts and lifelong friends who join forces with one badass cocktail waitress to become the world’s most unlikely team of heroes. When their peaceful town is ravaged by a zombie invasion, they’ll fight for the badge of a lifetime and put their scouting skills to the test to save mankind from the undead. Recently named one of Variety’s 10 Actors to Watch, 18-year-old Tye Sheridan has emerged as one of Hollywood’s most sought after young talents. Sheridan recently wrapped production for his starring role as young Cyclops in the highly anticipated “X-Men: Apocalypse” alongside a star studded cast including Jennifer Lawrence, James McAvoy and Michael Fassbender. He was previously seen in Gilles Paquet-Brenner’s adaptation of Gillian Flynn’s mystery novel “Dark Places” alongside Charlize Theron, Chloe Grace Moretz and Nicholas Hoult. 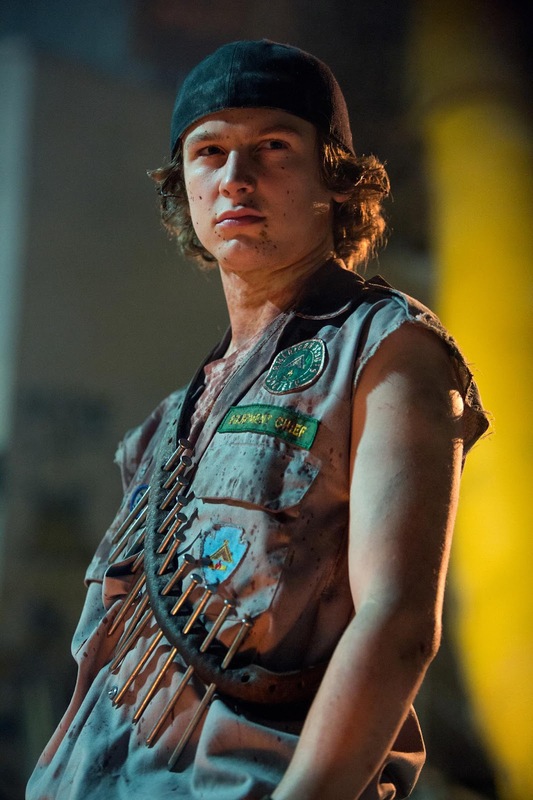 Logan Miller was recently named one of The Wrap’s “Ten Breakout Stars” for his two films at Sundance this year. He began his career playing the young Matthew McConaughey in the New Line Cinema feature “Ghosts of Girlfriends Past” for director Mark Waters (“Mean Girls”). 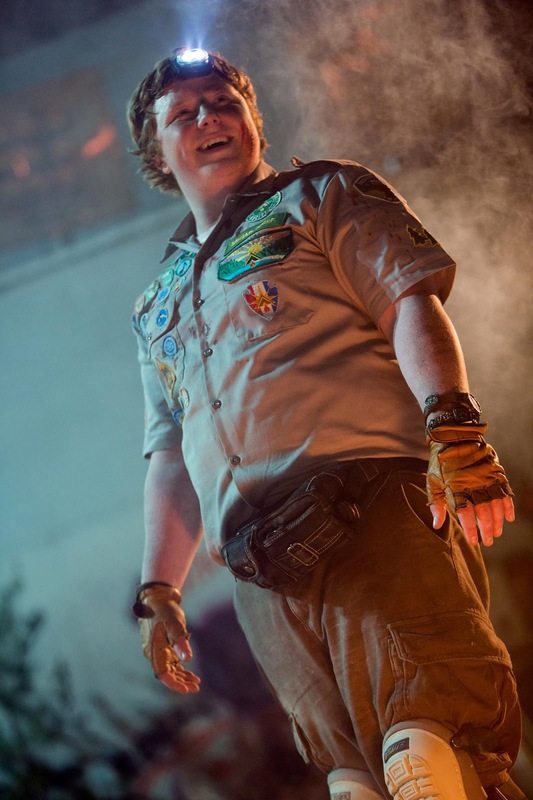 Joey Morgan is a Chicago native, making his theatrical debut in “Scouts Guide to Zombie Apocalypse.” Joey’s next starring role will be in the international feature “Compadres” which is set to be released by Lionsgate & Pantelion Films in early 2016. Opening across the Philippines on Nov. 11, “Scouts Guide to the Zombie Apocalypse” is distributed by United International Pictures through Columbia Pictures.